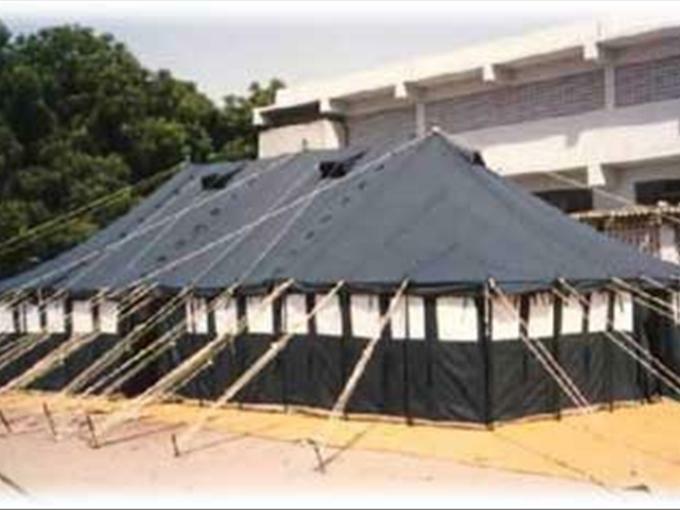 This is a popular tent among the armies of the world by its ability to provide versatile accommodation units. The tent is available in both singlefly and doublefly versions. Made from Cotton Canvas Waterproof 500 gms per square meter natural white or in a color of your choice. Ground sheet in Canvas, PE fabric or PVC -optional. The tent comes packed in a cotton carrying bag. Complete with metal poles, iron pegs, pins hammer and a carrying bag.